NTS’s Camden, Arkansas location is proud to host the National Ordinance and Ballistics Test Center, one of the best-equipped military ordnance and munitions testing facilities in the country. NTS Camden is a multidisciplinary test facility that has been designed from the ground up to provide a safe, cost-effective theatre for ordinance and munitions-related analysis, including armor testing, explosives testing and more. NTS Camden is a multidisciplinary test facility that has been designed from the ground up to provide a safe, cost-effective theatre for ordnance and munitions-related analysis, including armor testing, explosives testing and more. The National Ordinance and Ballistics Test Center features a number of firing ranges, including a 3000-meter facility for large-caliber ordinance, a shoulder-fired rocket range and several smaller testing areas. Dedicated buildings are available for housing and testing up to 1000 lbs. of class 1.1 explosives. In addition, several concrete storage magazines can house ordnance of all sizes. National Technical Systems has a long history as a partner to defense contractors and other businesses with advanced explosive testing needs. We support a wide range of military programs, including Javelin, Hydra and more. Along with many of our other nationwide testing sites, NTS Camden is an ISO 17025-accredited facility capable of providing certification management and pre-compliance programs. We can perform decompression testing to MIL-STD-810, 202, RTCA/D0-160 and will tailor the testing to any specific need you may have. 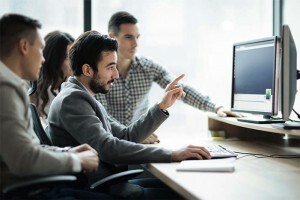 Often, meeting these programmatic and regulatory requirements involves more than just explosive testing. Our facilities are equipped to provide a wide range of other services, including extreme environment simulation, dynamics and mechanical testing, and more. We’ll work with you to determine your requirements and develop a comprehensive program that ensures they are met. 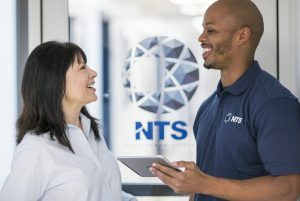 For more than 50 years, NTS has been helping defense and aviation contractors develop safer, smarter systems and equipment. To learn more about our explosion testing and other services or to request a quote, contact an NTS lab in your area.